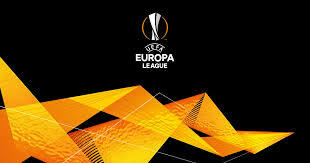 The UEFA Europa League Quarter Finals is one of the most popular football club tournaments organized by UEFA. As Europe’s secondary tournament, the league consists of some of the top quality football clubs from European countries. The tournament was renamed ten seasons ago from the UEFA Cup to the Europa League. The league’s quarter finals will be held in two legs, starting on the 11th of April and ending on the 18th of April. If you are a fan of European football club competitions, you can follow all live results and statistics related to UEFA Europa Legue matches on xscores.com. This season of the UEFA Europa League started on the 20th of September and it is scheduled to end on the 29th of May, 2019. The draw for the league’s quarter finals was held on March 15th. Keep in mind that the winners of the competition will get to play against the winers of this year’s season of UEFA Champions League during the 2019 UEFA Super Cup. It is also important to mention that the winners of the tournament will automatically qualify for the 2019-2020 UEFA Champions League group stage. The current top scorers of the league are Wissam Ben Yedder and Moanes Dabour. You can find more details and statistics about the UEFA Europa League and its quarter final matches on xscores.com. The current title holder is Atletico Madrid. However, what makes this year’s season of the UEFA League special is that the VAR (video assistance referee) technology will be used in the quarter finals for the first time. We are expecting to see a grand spectacle as the matches begin on April 11th. The winners of the quarter final matches will proceed to the semi finals and eventually to the final game that will determine the new champion of the UEFA Europa League. You can follow all league’s matches and live scores on xscores.com.